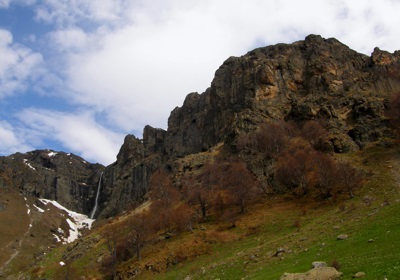 The Republic of Bulgaria is a country located in southeastern Europe. It has a coastline on the Black Sea, and borders Greece, Macedonia, Romania, Serbia. and Turkey. Bulgaria's population as of 2007 was estimated at 7,679,290. There has been a considerable fall in population over the last few years, from 8,990,000 in 1990, because of high rates of emigration, and the economic problems that the country had, following the fall of the communist regime that had ruled the country since 1945. 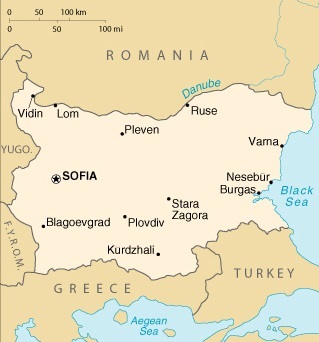 Large cities in Bulgaria include the capital, Sofia, which is home to about a quarter of a million people, and is one of the oldest capital cities in Europe (its origins can be traced to the 8th century BC). Other important cities with populations over 100,000 include Burgas, Dobrich, Pleven, Plovdiv, Rousse, Sliven, Stara Zagoria and Varna. Although Bulgaria's economic situation was difficult after the fall of communism, the country now appears to be on an upward trajectory again. Its economy began growing again 1997, and by 2004, Bulgaria had recovered back to 1990 levels. Bulgaria joined the European Union in 2007, and there are plans to eventually replace the Bulgarian currency, the Lev, with the euro. 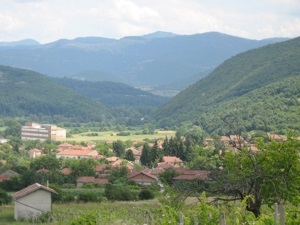 For visitors, Bulgaria is today increasingly popular as a tourist and vacation destination. Almost 3 million tourists now visit the country each year - this is because Bulgaria is home a number of high quality ski resorts in the country's mountains, there are beaches and Summer resorts on the Black Sea coast, and there also spas which can be visited all year round.